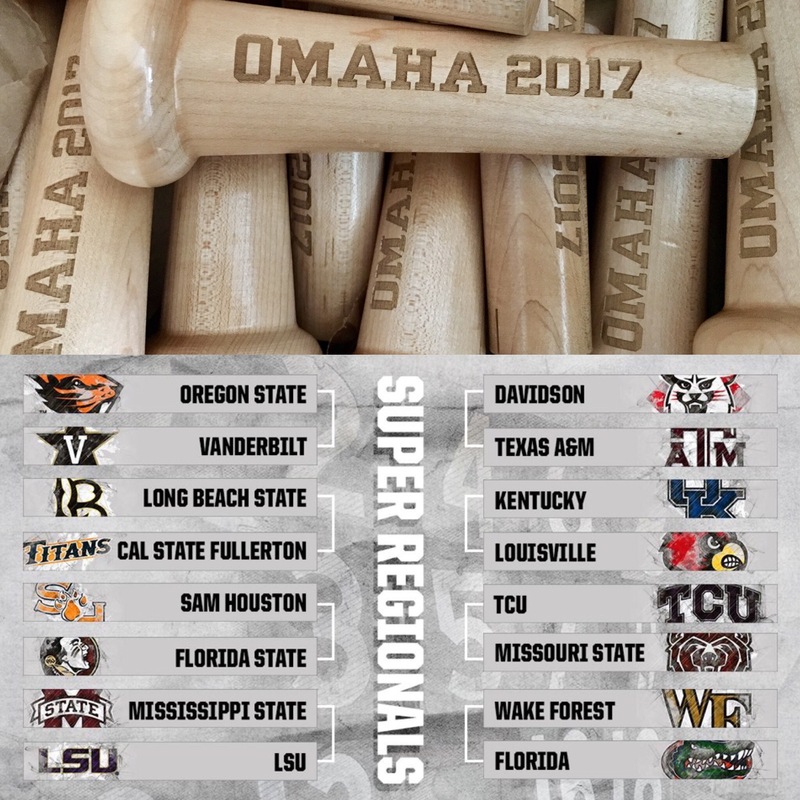 The journey to the College World Series began months ago preparing engraved bats, signing contracts, mapping out the 1,500 mile drive from Portsmouth, NH to Omaha, Nebraska, etc. Next Tuesday we embark on the long drive which will bring us through some great cities along the way Buffalo, Cleveland, Chicago, Des Moines to name a few. These cities either have an MLB team – Cleveland Indians, Chicago Cubs and White Sox or MiLB team – Buffalo Bisons and Iowa Cubs. This is definitely a baseball road trip and this will be our 3rd College World Series in a row. 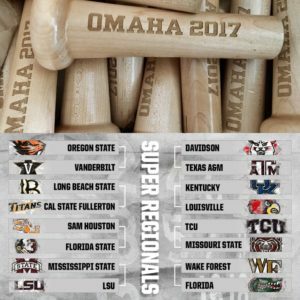 From 1,500 miles away we can already feel the ENERGY from the NCAA Baseball Regionals just held to the upcoming Super Regionals this weekend. Baseball is certainly in the air!